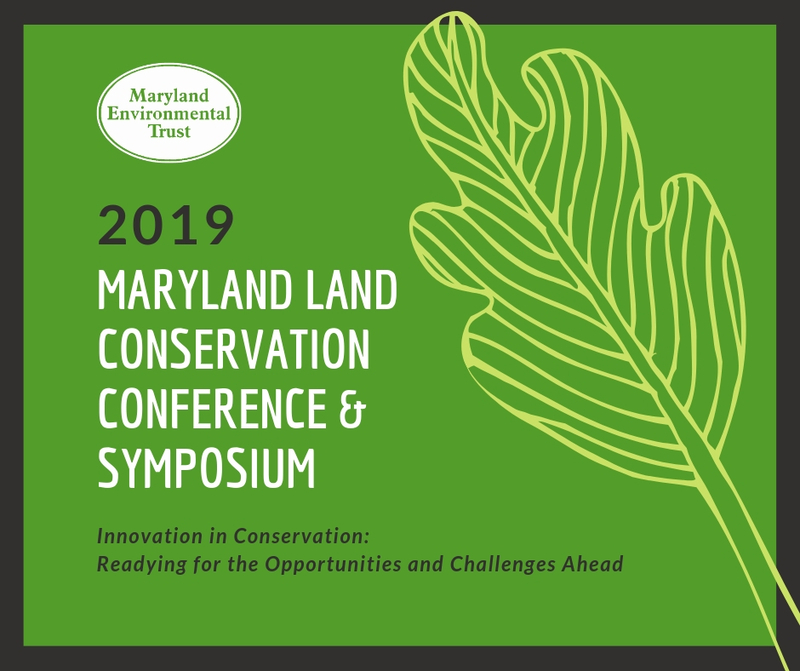 The 2019 Maryland Land Conservation Conference will be held May 16-17 at the Maritime Conference Center, 692 Maritime Boulevard, Linthicum. This annual event brings together land trusts, conservancies, local and state government agencies, heritage organizations, members of the agricultural community and other partners for a comprehensive discussion about the future of land conservation in our region. Day one of the conference, May 16, will cover themes relevant to the land conservancy community, exploring topics related to innovation in agriculture, frontiers in finance, and advanced topics in conservation. 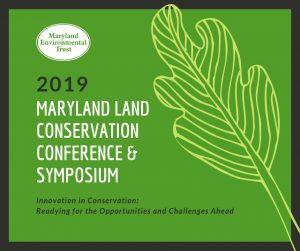 The symposium on May 17 is an opportunity for county representatives and administrators to gather and discuss how state conservation programs and land trusts can be a useful tool for advancing the quality of life and economic vitality goals for all Maryland counties and municipalities. Conference sponsors to date include American Battlefield Trust, Brown Advisory, Chesapeake Conservation Partnership, Dunkin Real Estate Advisors, Ecotone Inc., Green Trust Alliance, Helena Foundation, Land Trust Alliance, Maryland Agricultural And Resource-Based Industry Development Corp. (MARBIDCO), Rural Maryland Council and The Trust for Public Land.